Cymbeline tells the story of a British king, Cymbeline, and his three children, presented as though they are in a fairy tale. 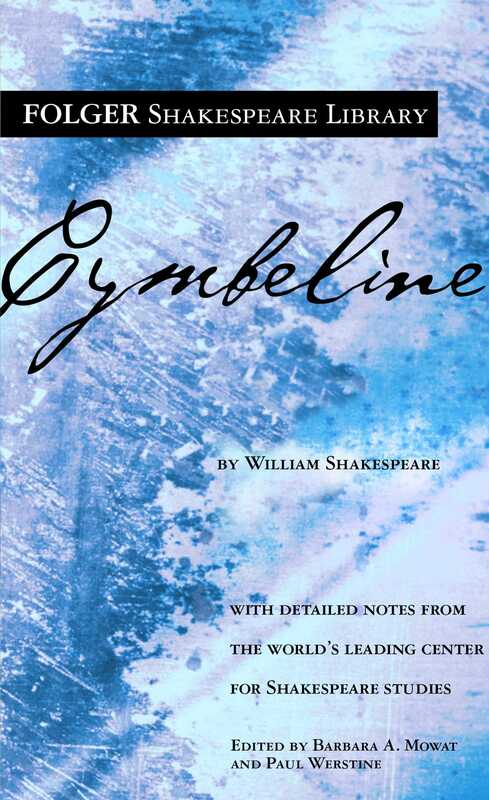 The secret marriage of Cymbeline’s daughter, Imogen, triggers much of the action, which includes villainous slander, homicidal jealousy, cross-gender disguise, a deathlike trance, and the appearance of Jupiter in a vision. Kidnapped in infancy, Cymbeline’s two sons are raised in a Welsh cave. As young men, they rescue a starving stranger (Imogen in disguise); kill Cymbeline’s stepson; and fight with almost superhuman valor against the Roman army. The king, meanwhile, takes on a Roman invasion rather than pay a tribute. He too is a familiar figure—a father who loses his children and miraculously finds them years later; a king who defeats an army and grants pardon to all. Cymbeline displays unusually powerful emotions with a tremendous charge. Like some of Shakespeare’s other late work—especially The Winter’s Tale and The Tempest—it is an improbable story lifted into a nearly mythic realm.